100% Pure's innovative all-natural formula ensures your lip color always looks vibrant, rich and full, never dry. Formulated with healthy fruit pigments and a nourishing blend of cocoa butter, shea butter and vitamin E to moisturize while providing intensely rich color. 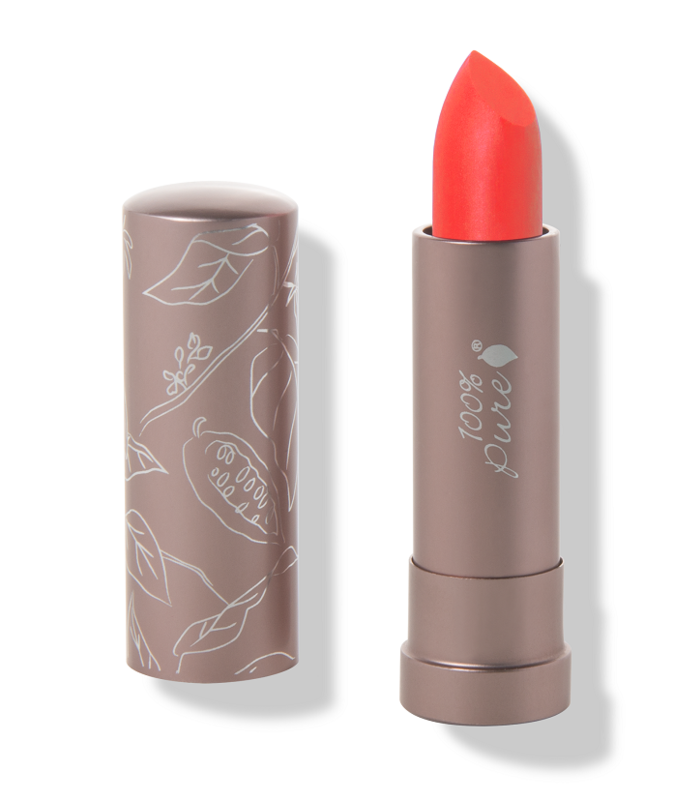 Prickly Pear is a vibrant coral pink, matte, opaque, & long-wearing lipstick. 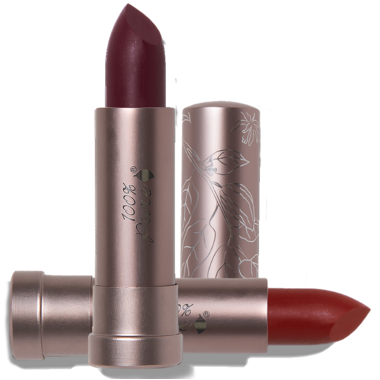 Currant is a berry red, semi-matte, opaque & long-wearing lipstick. Aubergine is a deep eggplant, semi-matte, opaque, & long-wearing lipstick. 100% Pure lipsticks are the best of the best! Wish Well.ca would carry ANY neutral shades tho. Love it! I ordered the prickly pear and love the colour and how moisturizing it is. I use it with lip balm if i want a more glossy finish. I will be ordering again. So happy well.ca carries this brand! I have this lipstick in Aubergine and Currant. I have olive skin and find that they both look nice with my colouring. The Currant was pinker than I expected, so it's more of a fun colour than a work/event colour for me. The Aubergine is quite dark and truer to the colour chip on the website. I don't find these lipsticks drying at all, although I always put chapstick on before applying. They are also reasonably long-lasting. I would recommend! Very rich in colour and stays on very well. Moisturizing and natural looking. Highly recommended as itâ€™s all natural ingredients and safe if ingested. 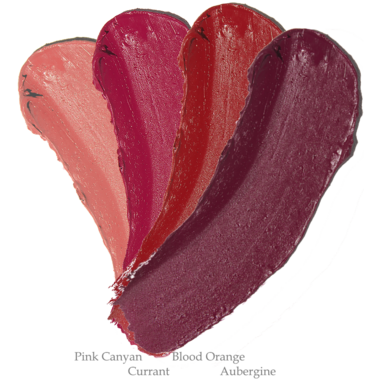 Pink Canyon is a lovely spring and summer colour and Aubergine is wonderful for fall and winter.